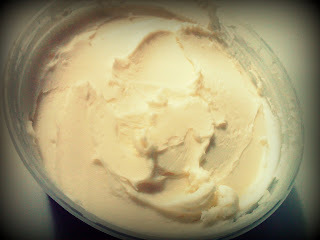 In the name of all things yummy, let's make butter. Why butter? Because it's easy, because you can make it the way you like, because you can impress your friends, because you can control the ingredients, because it's not the flame retardant version found on the supermarket shelves, and did I mention that its easy? 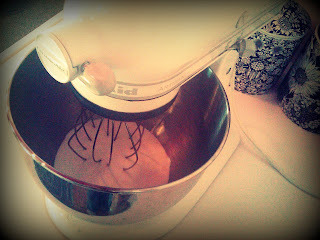 Pour your heavy whipping cream into your mixer's bowl. How much? Think of it this way... put in twice as much cream as you want butter. So if you want one cup of butter, start off with two cups of cream. After several more minutes, you'll have whipped cream. Admire the fluffiness and walk away. At this point you should wash dishes or plan dinner or maybe even wipe that cream off your walls from earlier, or not, if you're going for the dairy decor version of Jackson Pollock in your kitchen. Seriously, this step will take a while. I can't give you an exact amount of time, because from my experience and from reading others' experiences, it may depend on your source of heavy cream, the temperature, the speed of the whisk, and/or the price of tea in China. But expect your mixer to keep on chugging past the whipped cream stage for a good 15-20 more minutes. Eventually you'll notice the concoction start to miraculously separate. This usually happens about two minutes after you begin thinking you've done something wrong. But never fear, butter fans, it eventually happens. What happens, you ask? The butter (the solid) begins to separate from the buttermilk (the liquid). At this point I usually keep an eye on it and stop the whisking when needed and use a spatula to scrap down the remaining whipped cream from the sides. 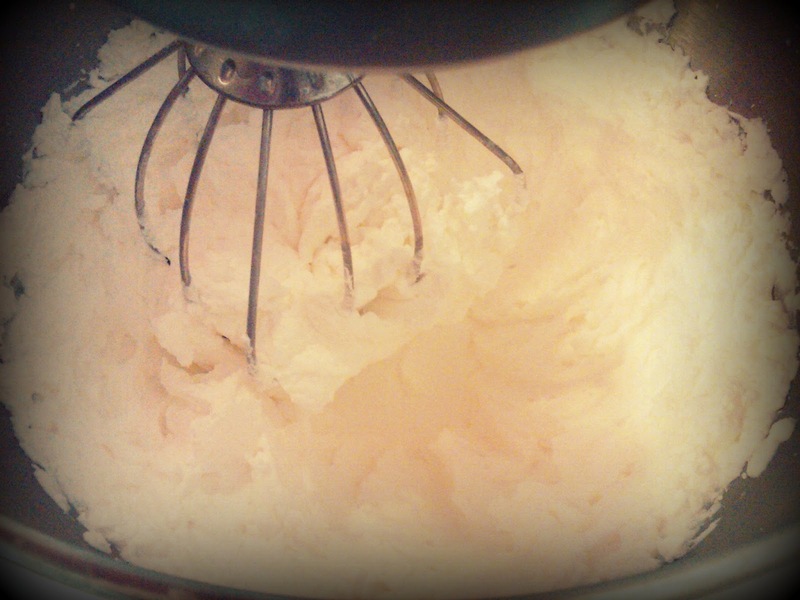 After doing this and turning the mixer back on, you'll sometimes think you've backtracked some because it will temporarily go back to looking like soupy whipped cream. Don't worry. Give it a moment and it will separate out again. 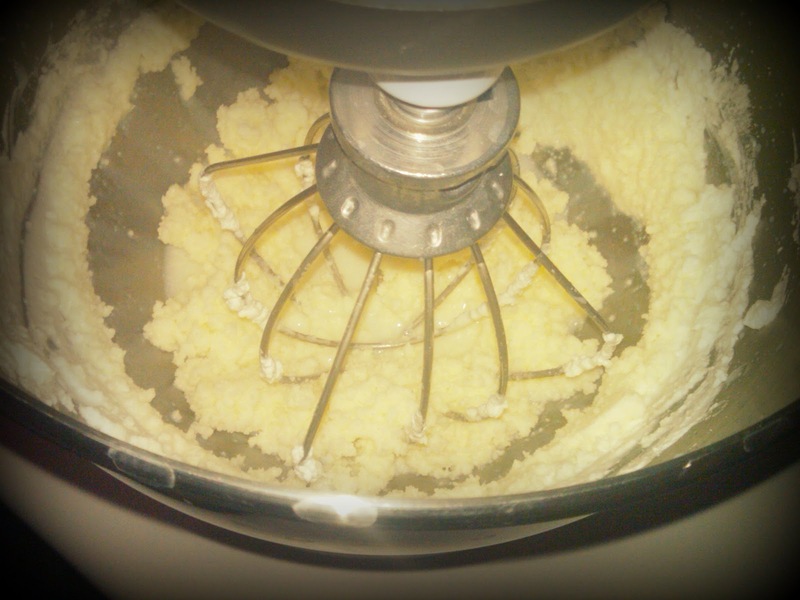 Let your mixer keep on doing its thing, and within minutes you'll hear it slopping and sloshing around in the bowl. 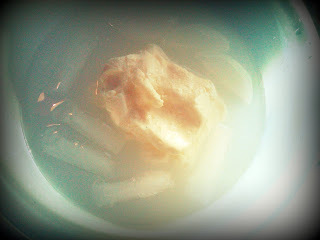 You'll have a definite solids and liquid separation at this point. Dump it all in a strainer. 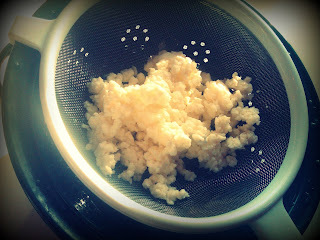 (Tip: strain it into a bowl, and reserve the buttermilk for cooking later. Ya know, good 'ole buttermilk biscuits are on the horizon, people.) Give it a good shake, encourage it to drain as much as possible, and throw the butter portion back into your mixer. Mix it again just enough to get any further liquid out, and strain. 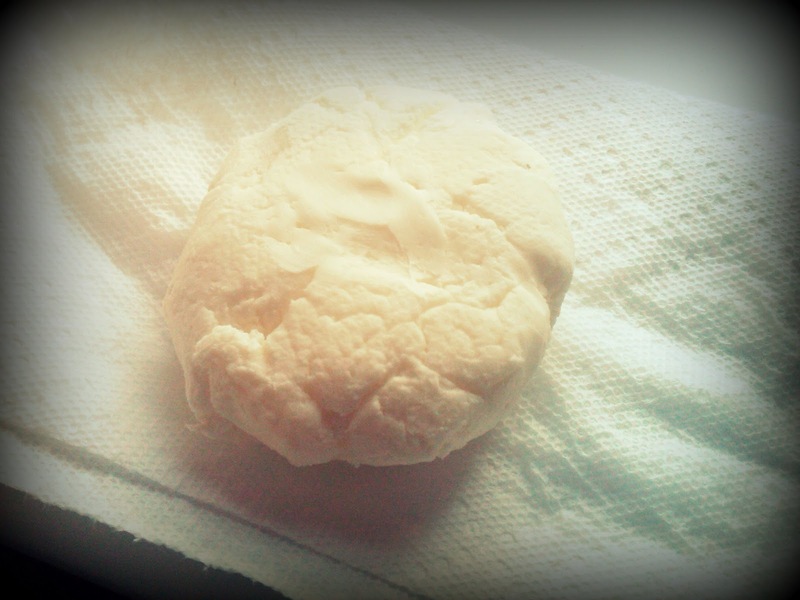 Use your hands and form your butter into a ball. Admire your ball-o-butter, but only for a minute, because we're not done yet. And you don't want melted butter all over your hands. Or maybe you do, I don't know. Now we need to work on getting any remaining buttermilk out. Why? 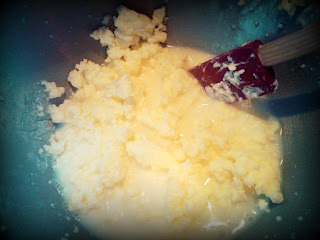 Because the less buttermilk in your butter, the longer your butter will last without spoiling. You can do this one of two ways: 1) either put your ball-o-butter in a bowl of ice water, knead it in the water, and change the water out several times until the water runs clear or 2) if you have weirdly cold water straight from the faucet like we do, knead your butter in your hands under the water until it runs clear. My method is to knead it under the faucet, and when I start to think that the water is running clear, I put a bowl under it to catch water so I can check it and see for sure. Your hands are going to FREEZE, I know this, but you gatta get that buttermilk out if you want to prevent your butter from spoiling early. Ta-Da!!! You've made butter! You can leave it as is, or you can be creative and mix herbs and such in it. I haven't had to keep it long enough to worry about freezing it, but you can if needed. Use it just like you'd use the grocery-store stuff. Have any good butter-loving recipes? What kind of herbs would you flavor your butter with? Tell me, my butter-loving friends. I wanna know! Thanks for writing this, it sounds cool and you wrote it so fun to read.